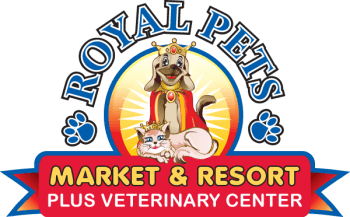 Denise Wolin is the CEO & President of Royal Pets Market & Resort, and has led the team throughout the design and implementation of all Royal Pets Market locations. Prior to Royal Pets Market & Resort, Denise served PetSmart for 15 years and during her last years was appointed and served as the Vice President of Store Operations and Services for all US stores. Prior to PetSmart, Denise operated an independent chain for 10 years. Denise is a pet parent to four beautiful Shar Pei "fur-kids:" Lila, Ema, Charlotte and Hensley. Vanessa Rodriguez is our Sr. Operations Manager. She ensures that our teams are equipped with the tools to provide every customer with a royal experience. She was born and raised in Tampa, Florida and has had the privilege of learning every aspect of the company first hand. She is a mom to her handsome son, and two beautiful four-legged babies: Milo, a Bassetoodle, and Minnie, a Miniature Shar-Pei. ​Amy Bolin graduated from the Paragon School of Grooming and received her Masters in Grooming certification under the direction of Melissa Verplank,​ author of the “Notes From the Grooming Table." Amy makes it her priority to ensure Holistic care, quality service, and masterful grooming techniques throughout Royal Pets Salons. She is a loving mother of two fur babies, Sophie and Hector, as well as a mother to Kyle. Graduating from University of South Florida with a Master’s of Accountancy degree, Brooke Morley has 15 years of experience in the financial accounting field. As the Director of Finance & Human Resources, her role is quintessential to the company's strategic team and financial planning. Her family includes a goldendoodle named, Charlie, a daughter, Emma and a son, Jaxson. Patricia Vazquez graduated from University of Ecuador with a Masters in Business and has been living in the states for over 26 years. Largely involved in Human Resources, she also assists in financial planning and accounting documentation. Patricia is a loving mother of Draco, a Schnauzer, as well as a mother of two daughters named, Stephanie and Michelle. Liza graduated from the Art Institute of Fort Lauderdale at the top of her class with an award winning portfolio. Prior to joining the Royal Pets team, Liza spent 5 years working in the field in advertising as an Art Director and Graphic Designer. She has played a main role in the design of our store graphics and marketing, and will continue to build upon the Royal Pets Market & Resort brand as we grow. Liza, along with her husband, Chuck, are proud parents to a “two-legged baby” named Luke, and a furry, “four-legged baby” Pug named, “Fenway ‘Muffin Man’ Mackey.